Haunting. Gorgeous. And completely different from Michael Jackson’s iconic version. During the roaring 90s, technology evangelists convinced business owners to drop millions on IT equipment to cash in on productivity gains and chase digital goldmines online. A decade later, MIT professor Eric Brynjolfsson has published a new book entitled “Wired for Innovation: How Information Technology is Reshaping the Economy .” He also recently co-authored “The New, Faster Face of Innovation” in the Wall Street Journal/Sloan Management Review. Professor Brynjolfsson presented the findings from his book at the Information Technology and Innovation Foundation in Washington earlier today. After breaking down the components of a large IT project, the bulk of which consist of implementation and deployment, he examined Dell Computers as a case study in IT innovation. Professor Brynjolfsson visited a Dell factory, a bustling manufacturer where most PCs are built to completion in one day. During his visit, he noticed that the back third of the factory empty. He suggested to the Dell executive that was taking him on the tour that perhaps that space wasted. Brynjolfsson said that Dell had implemented i2 software and completed a business process redesign to gain these efficiencies. Orders are transmitted customers go right to suppliers, which deliver new parts to the facility every 4 hours in a classic case of “just-in-time manufacturing.” Managers are able to both see problems earlier and fix them, leading to a substantial improvement in efficiency. The exec called up Brynjolffsson later to let him know Dell was now using that extra space, producing twice as much from the factory as a year earlier. In essence, says Brynjollfson, Dell had “built a second factory” – except that it was made of business processes and software, representing intangible assets. “That’s a microcosm of what’s been going on in the US economy,” he observed. In that larger context, “computerization” has a greater effect than computers. Brynjollfsson cited an broad analysis by MIT of organizational assets, including 1167 large firms over 10 years and 10,473 observations. Computer capital from computer intelligence. Ordinary capitol, labor, other assets, R&D. Brynjollfsson cited three key findings, including identification of a distinct set of business practices common to heavy IT users. IT and the digital organization are complements. Firms that adopt the digital organization and simultaneously invest more in IT have disproportionately higher performance. Move from analog to digital business process. Maintain focus and communicate goals. If these practices are better – and they’re noticeably better, says Brynjollsson – why aren’t they being adapted? The dispersion between successes and failures has been growing, if anything, in recent years. What’s the story? A member of the audience suggested a well-known model at MIT, system dynamics, where a feedback loop that of poor practices trapped organizations in negative spirals. Byrnjollfson observed as well that decisions that can be quantified or structured are becoming more centralized. Older & bigger firms had a harder time, both in terms of company & employee age. “Most of our metrics were focused on business performance: productivity, profitability, market value. When we asked about employees, we found employees were also better off.” According to Byrnjollfson, firms which adopt the tenets of digital organizations have higher pay, from top to bottom and are less likely to have turnover. 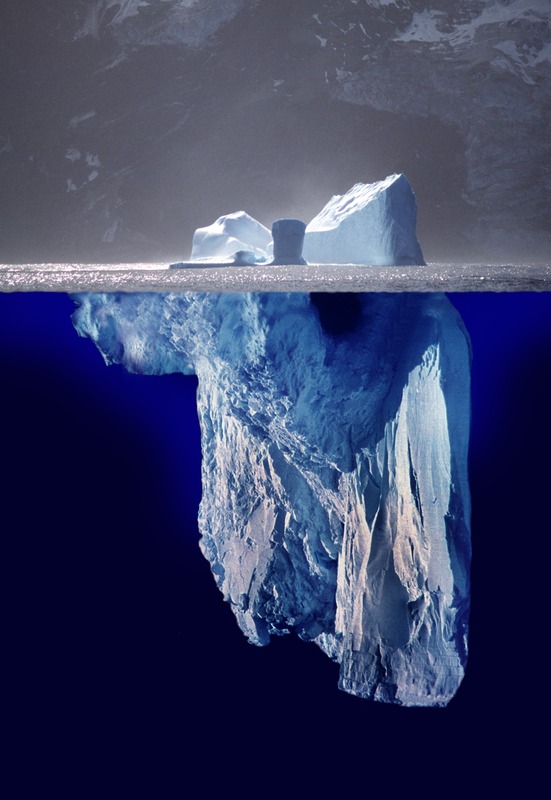 The bottom line, in terms of the professor’s findings, is that information technology is a catalyst for a productivity surge but that organizational change is the bulk of the iceberg, so to speak. Payoffs only come when investments are made in both IT infrastucture and training, education and incentives in a coherent sytem. He cautioned, however, that the IT investments of some organization were both overstated and overvalued during the dotcom bubbles, where intangibles were used to justify stratospheric valuations. Many companies invested beyond an optimal point, and in assets that inevitably decreased in both value and utility over time. He ended by making an analogy to the invention of microscopy by Anton Van Leeuwenhoek, which in turn led to a revolution in medicine and biology. In Professor Brynjollfson’s view, the revolution in data flows inside companies and bureaucracy has the potential to lead to substantial improvements in public policy. The paradigm of managing large organizations through the analysis of real-time manufacturing data can be applied to economic policy, healthcare and energy, to name a few areas of far-reaching potential. This afternoon, I was privileged to be at hand at the National Press Club today when Secretary of Agriculture Vilsack launched the National Institute of Food & Agriculture (NIFA). The new institute’s website is http://nifa.usda.gov. And, it being 2009, you can followed NIFA at @USDA_NIFA on Twitter. As I mentioned on Twitter, @FoodSafety and @USDAFoodSafety are already up and tweeting. Following the Secetary’s remarks, Rajiv “Raj” Shaw, Under Secretary of Agriculture for Research, Education, and Economics (REE) and Chief Scientist at the United States Department of Agriculture, provided an overview of the different areas agricultural science could positively affect both the energy policy of the United States, food security and, in time, hunger at a global scale. Following Shah, the @WhiteHouse science advisor, Dr. Holdren, t, leavened the event with casual humor of an agricultural variety, punning his way into a wave of chuckles. Dr. Holdren was clearly inspired by what he’d seen at the “Astronomy Night” at the White House last night. More information and video of that event is available at http://blog.ostp.gov, courtesy of @WhiteHouseOSTP. Video of the event, including the remarks of all three men, is archived and available on demand at VisualWebcaster.com: NIFA launch at National Press Club.